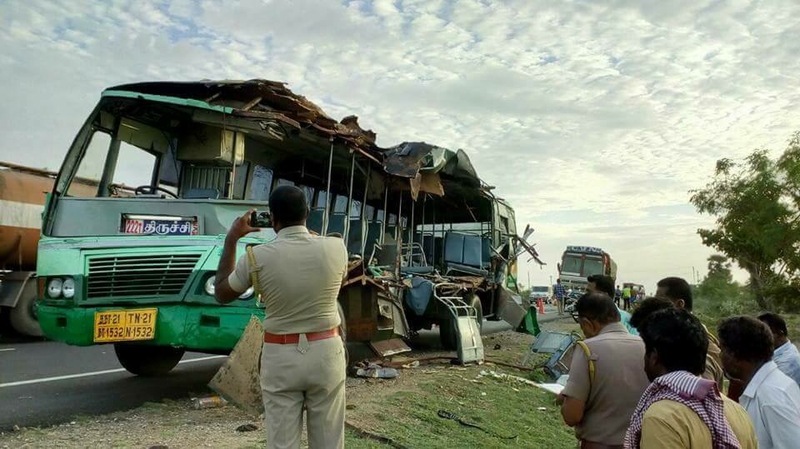 222T Plying to Trichy met with an accident early morning. The impact of the accident 4 passengers have died on the spot and 30 passengers have been taken to nearby hospital. As per reports, The Bus rammed into a stationary lorry parked in side of the road. The bus accidents is in high due to parked lorries in the side of NH’s without any reflectors or parking light on resulting in accidents. We are in deep sorrow for the lose of lives and pray for the families. 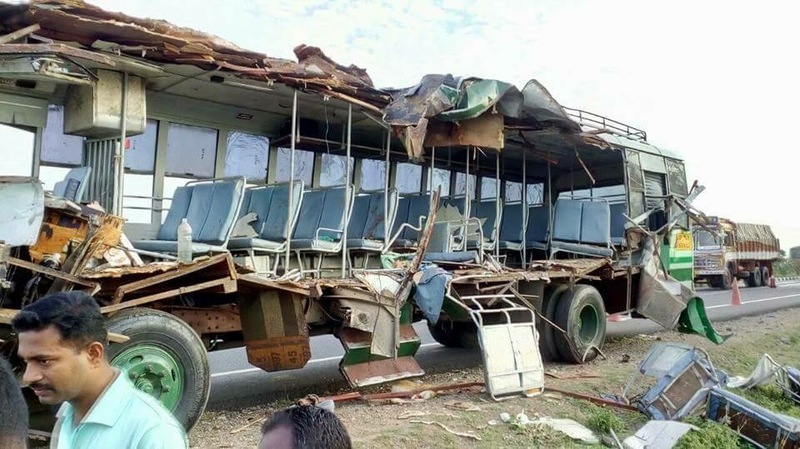 The impact of the accident can been seen in the pictures, that 2*2 seats have been ripped of from the Bus.